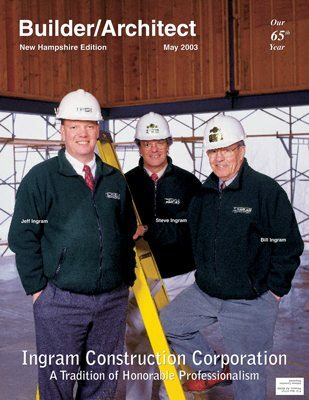 Ingram Construction Corporation doesn’t aspire to be the biggest construction company in New Hampshire, only the best. 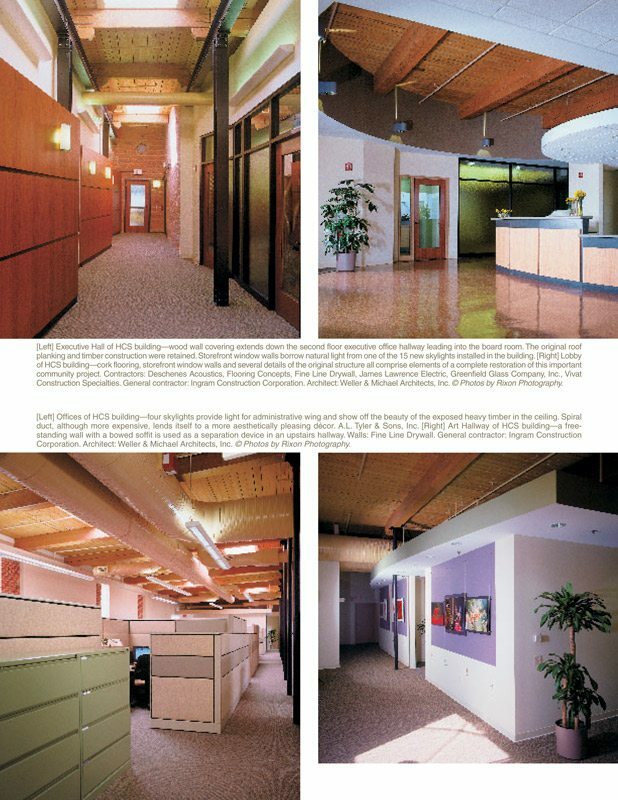 Founded in 1981 by Bill Ingram, and now managed by and jointly owned with son, Jeffrey Ingram, President, “the company’s goal has always been to remain small enough to maintain first-hand awareness of all that is happening within our business,” says Bill. With only 15 employees, Ingram is small. But with three Ingrams involved, “the chances are really good that you’ll talk to an Ingram when you call,” says Steve Ingram, Project Manager. All Ingrams agree that they like it that way. 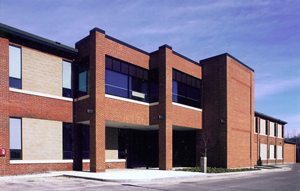 Their size ensures that they can provide their customers with the personal contact, trust, and quality workmanship they deserve. 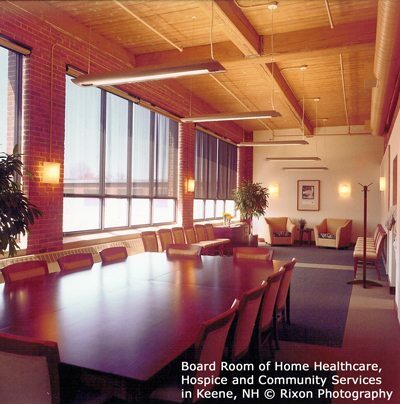 Ingram typically works within a 100-mile radius of the Keene area. 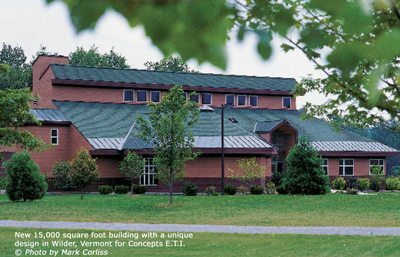 Most of their work is in the Connecticut River Valley, southwest Vermont, the Champlain Valley, and the Hanover and White River Junction area. They basically work “from Keene to Canada,” on a variety of projects ranging from historical restoration and preservation jobs to institutional renovations to new commercial construction, from jails to schools to senior citizen housing projects. Because in many cases it is more cost-effective to restore a building than to build it from scratch, many buildings that would have been torn down 50 years ago are now being preserved and restored. So Ingram Construction has found a niche in this arena, and they excel at it. 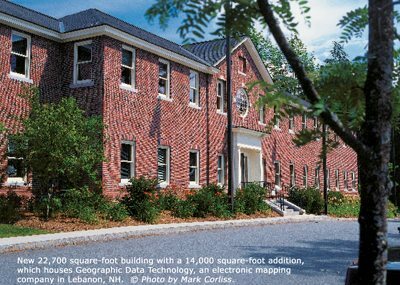 The featured project is, appropriately, a restoration of a turn-of-the-century brick building that houses Home Healthcare, Hospice, and Community Services (HCS), in Keene, New Hampshire. HCS is a non-profit, community-based organization that provides services such as hospice, Meals-on-Wheels, the Friendly Bus, Well Child Program, and a Prenatal Clinic. See www.hcsservices.org for more information. The Ingrams believe that the keys to success are involvement in every stage of a project, rock-solid financial stability, creative brainstorming and an empowered field team. The Ingrams consider their field operations management team integral to the success of the company. “They are our friends and co-workers, not just employees.” All Ingram superintendents and craftspeople are exceptionally talented, well capable of carrying out company policies, trained and certified by OSHA, and trusted by the Ingram management team. They all take pride in their work, and feel empowered to make decisions in the field.